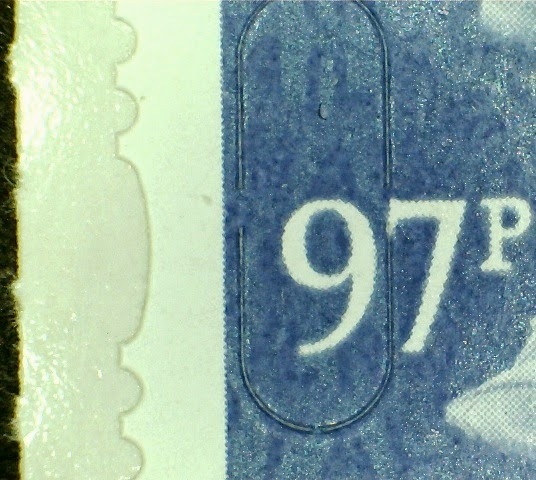 New Machin security stamp printings - the last for 2014? 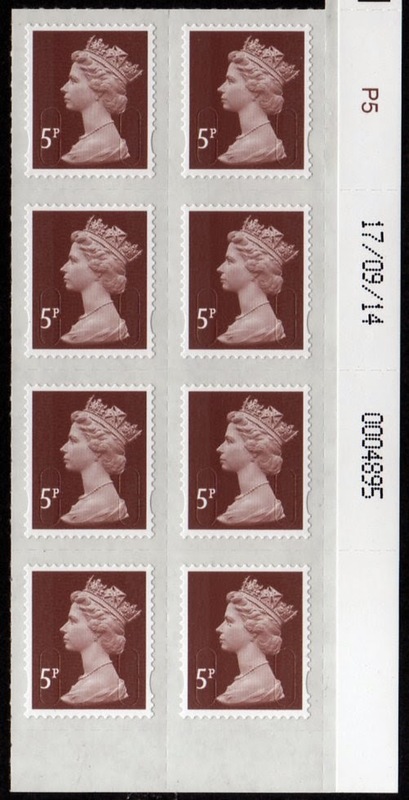 Several new Machin printings have appeared in recent weeks, one of which has produced yet another new stamp for 2014. 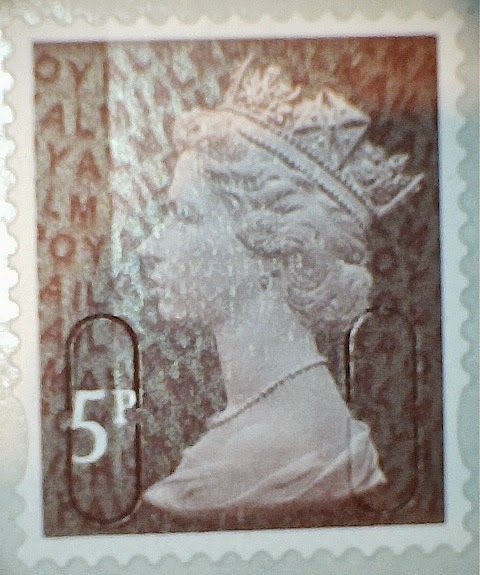 Following the 2p M14L printing, and the two Special Delivery stamps, the 5p (reprinted on 17/09/14) has now appeared. This will be numbered 3005.4 in the Norvic Catalogue: a new edition will be available in January. 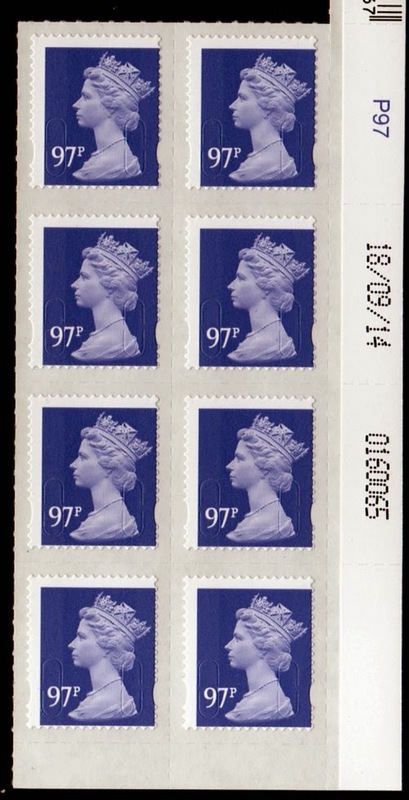 The stamp, cylinder and date blocks are available now in our webshop. 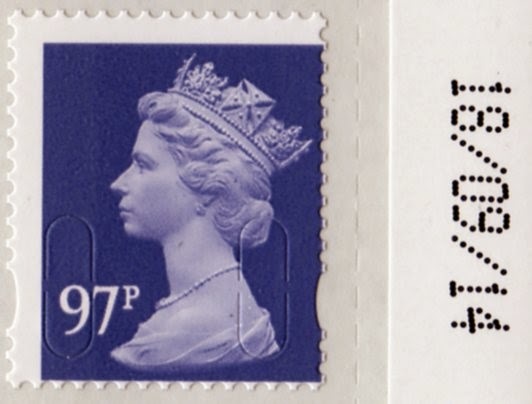 Other new printings recently available include two more printings for the 97p - obviously for the Christmas market despite Royal Mail's assertion that this value wasn't need for Christmas, which was why they issued £1.28, £1.47 and £2.15 Christmas stamps but not the value which does double duty for 10g Worldwide and 20g Europe letters/cards. When new dates are found I generally only buy a few date blocks for customers, although for totally new stamps I buy sheets. 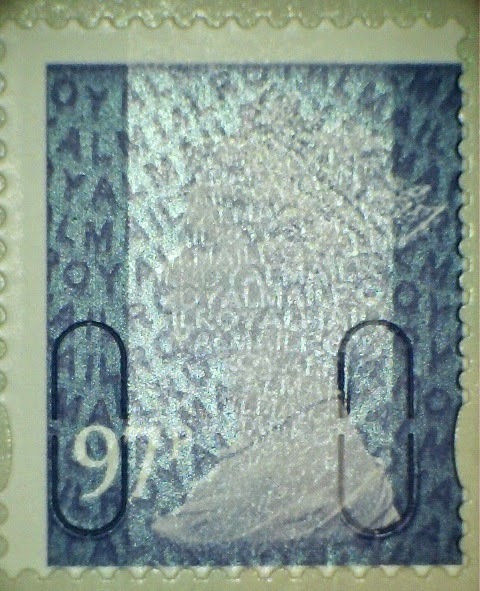 The new 97p printings are a case when I really wished I had bought the whole sheet: had I known about this mis-perforation I would have! 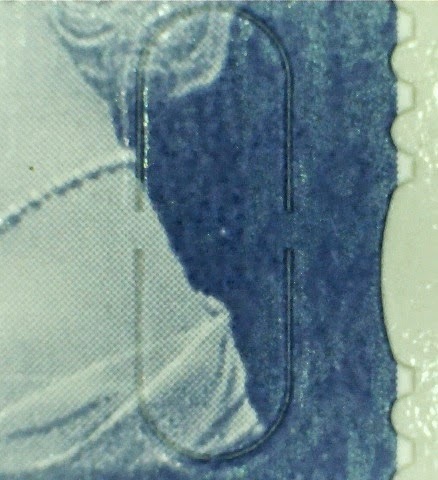 The die-cut is shifted to the left and up, leaving the left-hand security cut passing between the two figures of value. 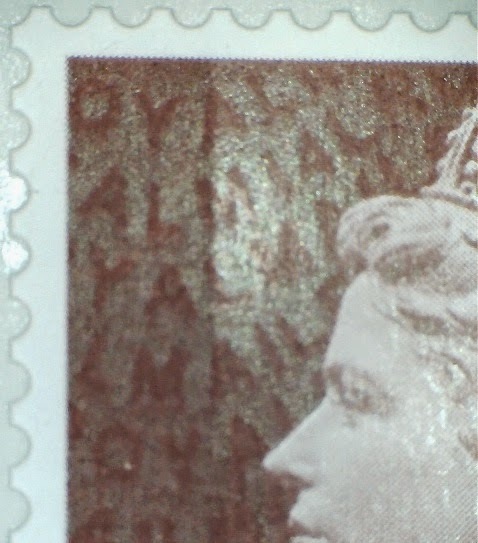 There is no colour on the tips of the left-hand perfs, but that is only by luck - all the perf-holes on the right-hand side cut into the colour. This block will probably be offered in the next MBPC Auction.